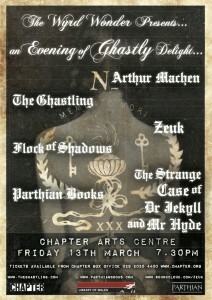 What better way to spend Friday 13th than attending ‘An Evening of Ghastly Delight’ in Cardiff’s charming Chapter Arts Centre? 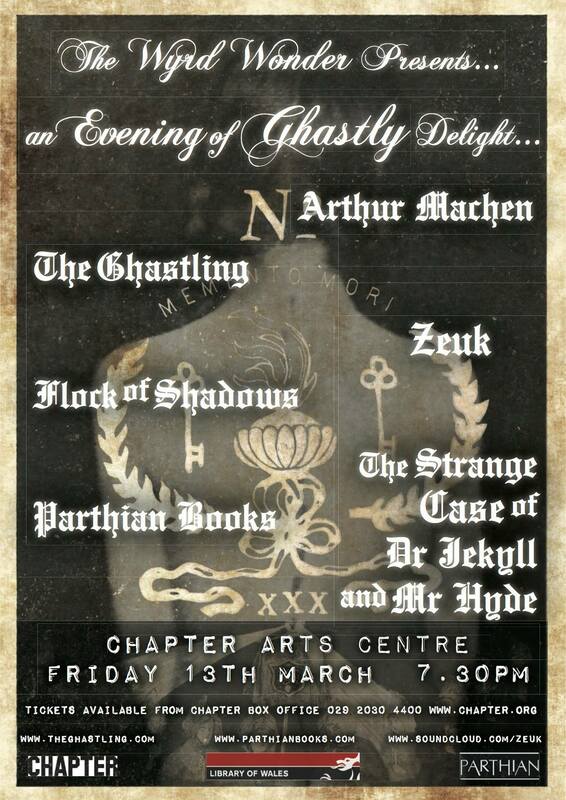 Hosted by Rebecca Parfitt, founder and editor of the wonderfully macabre literary magazine, The Ghastling, this was a celebration of “all things Gothic and a little bit strange”. The doorman had been replaced by ‘The Spectre of Chapter’ – an eerie looking character whose mystique was slightly shattered by his accompanying the return of our tickets with a cheerful exclamation of “I look like a right idiot, don’t I?”. The room itself was very atmospheric and crammed with eager attendees and performers alike. A small, minimalistic set at the far end of the room consisted of a bare table, some black and red draping upon which sat a rather life-like crow, and a man playing the most beautifully haunting music on a cello. The entire stage area was bathed in deliciously deep red lighting which threw up some suitably spooky shadows on the plain white walls. The first performance was from Zeuk who provided the music throughout the night. 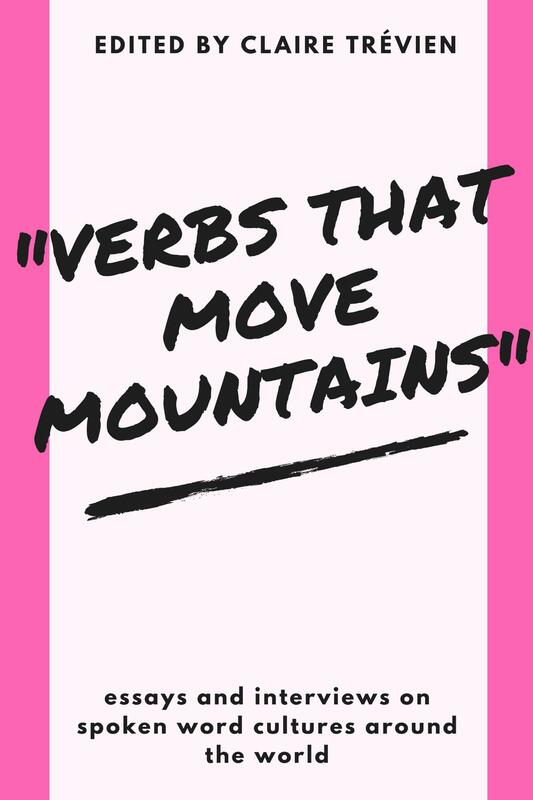 Beginning his piece he spoke into the silent room: “I see. I feel. I change.” He then began to sing a dark lullaby accompanied by live music from the cello and his own guitar playing. His hair was swept back from a white painted face which, under the glow of the red lights, served to enhance the otherworldly atmosphere of the evening. We were snapped out of this hypnotic performance by Howard Ingham, an expressive and confident performer who started his story, ‘So I caught up with Dennis’, in a snappy, conversational manner. A meandering, reflective tale of walking and worms, it had an unsettling tone underlying it, which made it perfect for this ghostly themed evening. Time denied us a full rendition; a shame as, upon purchasing a copy of ‘The Ghastling’ in which the story is featured, it is far more powerful and thought-provoking when read in its entirety; but of course this is the nature of these evenings – to provide a tantalising snippet which will entice the audience into purchasing the entire publication. (Something I am tempted into far more often than is healthy for my bank account!). The next reader was Jo Mazelis whose story ‘The Whisper’ is also to be found in ‘The Ghastling’. It began by exploring the nature of story itself, offering an intriguing glimpse into the mind of a writer, before plunging into a sorrowful tale of self-doubt and low self-esteem. Touching upon depression, loneliness, paranoia and jealously, it deftly covered some major themes within a short piece; however, the initial contemplation of the essence of stories themselves was what really captivated me, and I think if Mazelis developed this further the results would be superb. Following her was Bethany Pope who read her story ‘The Silver Wire’ from new anthology of Gothic Fiction ‘A Flock of Shadows’. Featuring a terrifying bat-like monster with the head and shoulders of a woman but with its lungs, stomach, heart and liver trailing behind it like a tail, this was a true horror tale. Of all the wonderful stories performed, it was this image which had me looking over my shoulder when I finally emerged into the night air at the end of the evening. However, there was some light to combat the dark, as it was also an insight into the meaning of motherhood, and Bethany herself described it as being, in a sense, an homage to her foster mother, Lebrada. The final performer of the first half, and my personal favourite, was Mark Blayney, another contributor to ‘A Flock of Shadows’, whose story ‘Wednesday Ghost’ was brilliant; completely hilarious and decidedly quirky, it began with the line “I suppose I shouldn’t have killed her, but when do we ever do what we’re supposed to do?”. And, just like that, the room was hooked. It didn’t hurt that Blayney is a superb performer as well as writer, truly bringing his story to life and taking an incessantly ringing mobile phone completely into his stride, seamlessly slipping in the line “People’s phones go off when they’re in the station” whilst in the middle of a description of said station, much to the audience’s amusement. The second half resumed with the first section of Mark Ryan’s ‘Strange Case of Dr Jekyll and Mr Hyde as Told to Carl Jung by an Inmate’, performed spectacularly by Dean Rehman and Nathan Sussex. Incredibly intense, both actors were simply mesmerising, capturing the characters and the audience’s full attention. Performed with absolute commitment to the roles, this was acting in its purest form and was both chilling and comic in parts. Drawing us in with menacing whispers before erupting into tortured shouts, I nearly jumped right out of my seat at one point – a magnificent performance. Closing with one last spooky song from Zeuk, the evening came full circle and, in all, the evening was a fantastic way to earn some well-deserved attention for ‘The Ghastling’ and ‘A Flock of Shadows’ and the excellent writers within them. Wonderfully weird, with more than a little of the macabre about it, this Friday 13th is sure to stick in my memory for many fear-filled nights to come. ← ‘Literary Jury Duty’: Why Reviewing Matters. Ah I am blushing! I’m glad you liked it. It was a great evening. I loved the music and the Jekyll and Hyde play was pretty intense. Cheers everyone, hope to do another one!